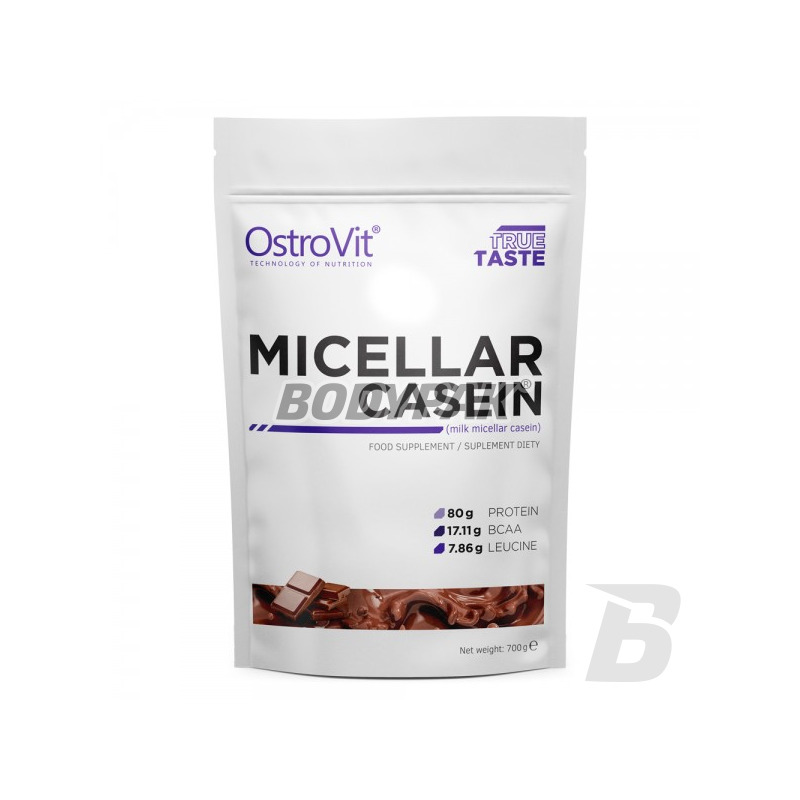 Ostrovit Micellar Casein is a means for particular nutritional uses, recommended for increased physical effort, especially for athletes. 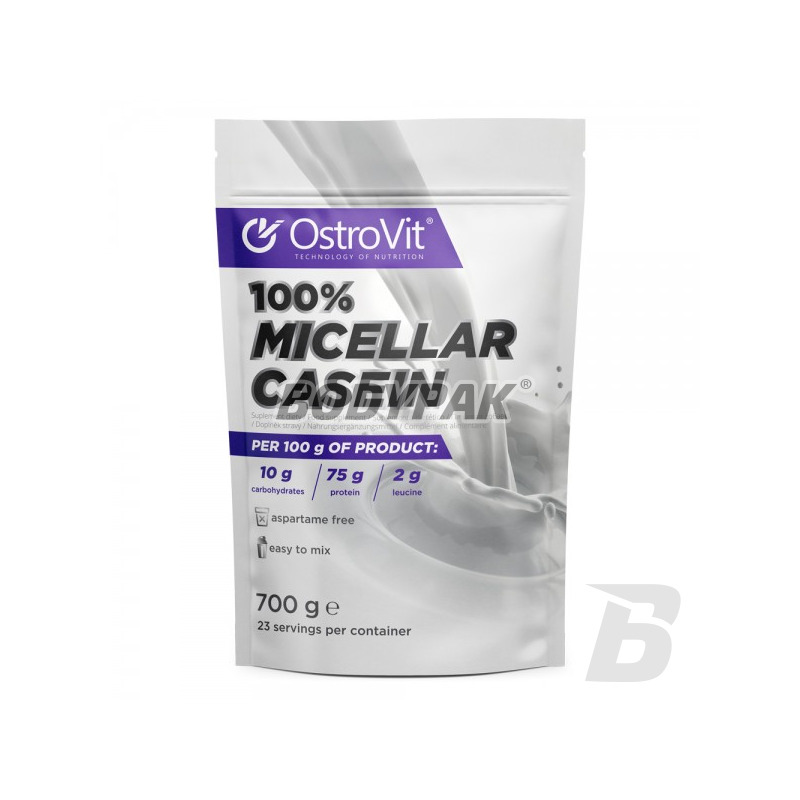 Ostrovit Micellar Casein is a means for particular nutritional uses, recommended for increased physical effort, especially for athletes. Conditioner is an excellent source of protein of animal origin. Ideally suited for high-protein diets. Protein fractions contained in the product very well suited as a dietary supplement in protein during the night. Major fraction of the casein protein is present in the form of micelles - well absorbed and fully valuable. 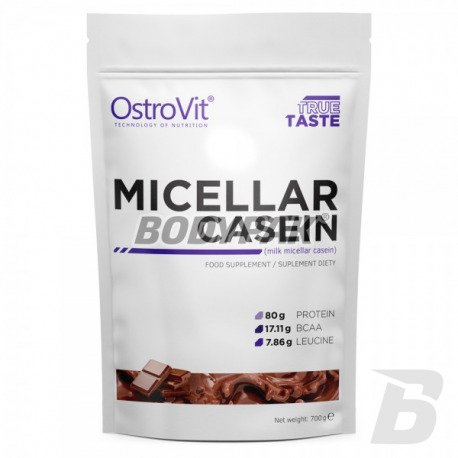 Casein marked by a high content of branched chain amino acids (BCAA) and glutamic acid. Składniki (dla wersji smakowej): koncentrat białka mleka; emulgator (lecytyna rzepakowa); kakao (chocolate); aromaty; sól; regulatory kwasowości [kwas jabłkowy, kwas cytrynowy (strawberry, wild strawberry)]; barwniki [karmel (cookies&cream), karoteny (vanilla), czerwień buraczana (strawberry), antocyjany (wild strawberry)]; substancje słodzące (sukraloza, acesulfam K). Składniki (dla wersji naturalnej): koncentrat białka mleka. I bought wild straberry flavor. Very good casein, The flavor is awesome. It's like good strawberry ice-cream, VVeyr good soluble in water, no sediment . Good price/quality radio. Wybrałem smak kokos, pycha :) Lekko czuć kazeinke jak by mąkę, ale ujdzie. Najlepsza jest cena! Rewelacyjna jak za taki produkt. Polecam! Miarka : hmm mogli by dać większą :p.
Ogólnie produkt na plus :). na noc się przyda :p.
Bardzo dobre białko na noc!Dobrze sie rozpuszcza i niezle smakuje.Polecam wanilie. Stosuję od 3 miesięcy zawsze przed snem i efekty są widoczne gołym okiem. Dobre uzupełnienie w diecie wysokobiałkowej.